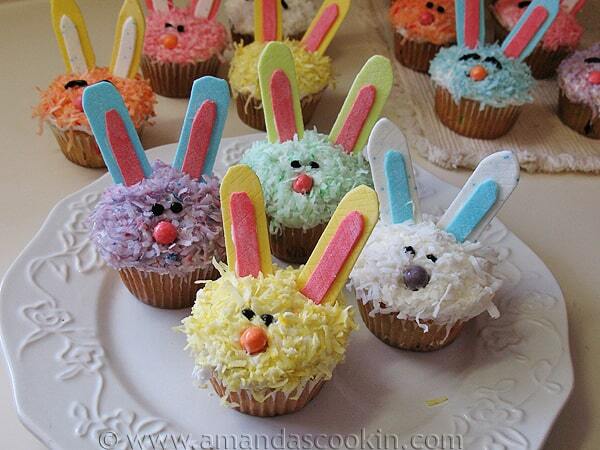 Easter Bunny Cupcakes: A sweet Easter dessert everyone will love! I’m not a cake decorator. 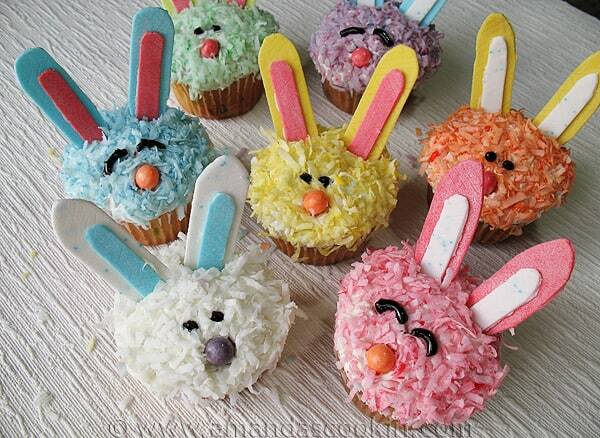 Have never claimed to be, but I guess that’s what I liked so much about these Easter bunny cupcakes. You don’t have to be a decorator to make them. They are easy enough for anyone and oh so cute, who could resist? 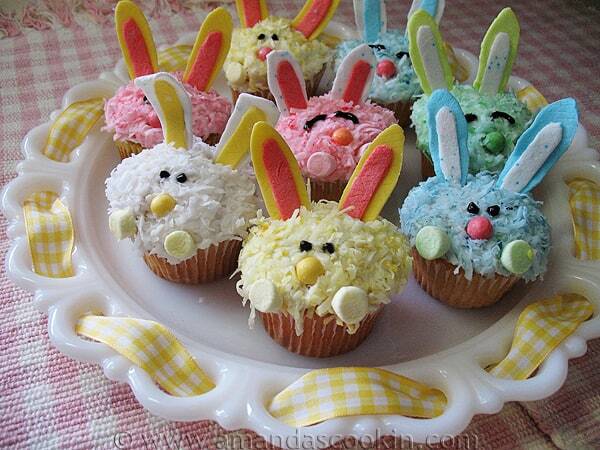 Easter is coming, so you might want to add these to your list of things (fun things!) to do. 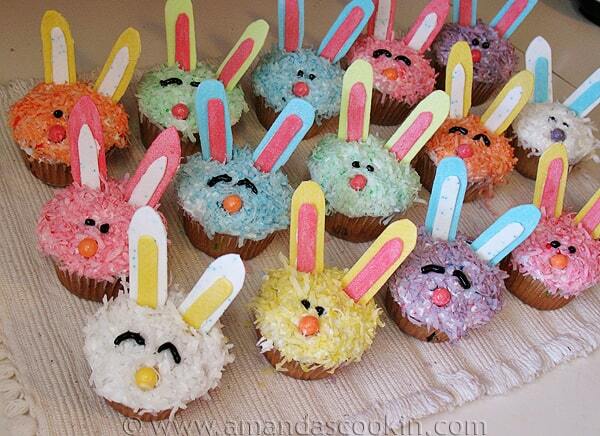 I made these Easter Bunny Cupcakes for Betty Crocker’s website last year. Originally I made them with the little marshmallow paws, but then the editors asked me to redo them without the paws. 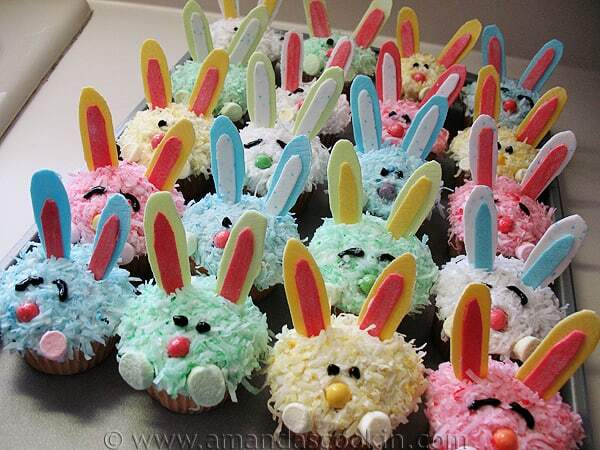 So we ATE the army of bunnies with the paws… no not really! I actually gave them to a neighbor who took them in to work. Then I made a new batch and left off the feet, these are cute too yes? Not sure which version I like better. They’re both so adorable in their own little ways. Everyone loved these cupcakes and with how easy they were to make, I forsee myself making these many more times! Betty Crocker ended up keeping the originals anyway! No matter. More cupcakes for us, we can’t complain about that. NOTE: If you decide to make these, DON’T cover the cupcakes in a closed container for too long of the moisture will sag and break the gum ears. Trust me. I know. 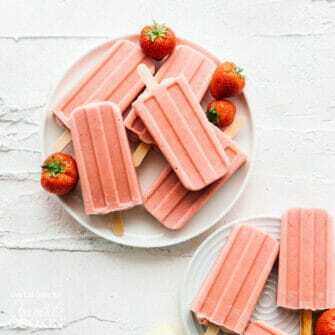 You can get the complete recipe over at Betty Crocker here! I want take these for my little toddler neighbors…is there anything I can use for ears besides gum?? They’re too little for gum yet. Thanks for sharing! !